Thanks for visiting and I hope you enjoy my attempt at blogging! 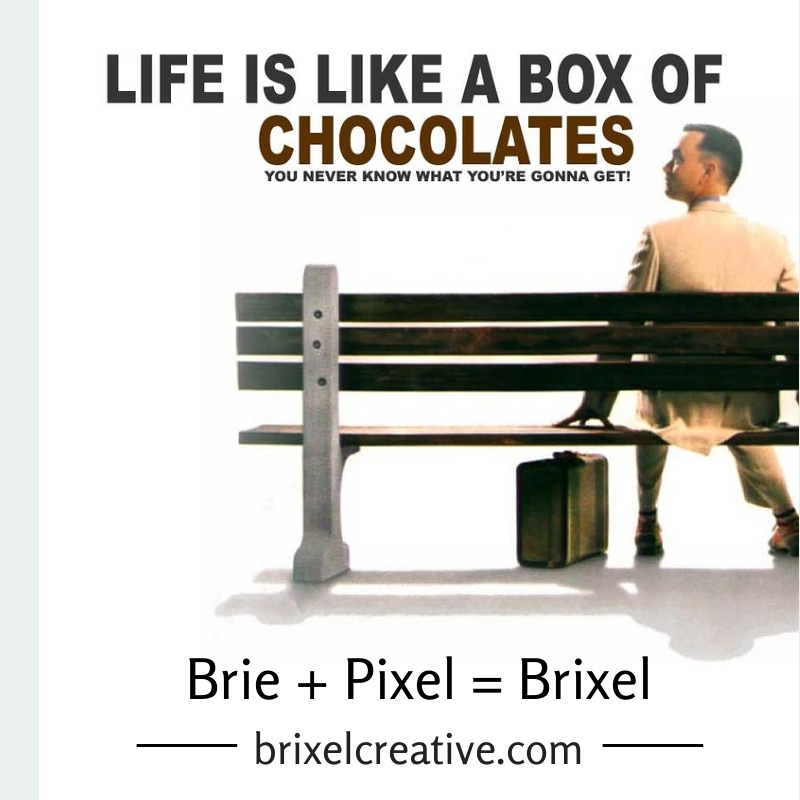 Maybe you put two and two together already, but Brie + Pixel = Brixel, hence my business name is Brixel Creative! It’s creative, right? Anyways, on this blog I’d like to say I will be providing valuable posts about social media marketing and graphic design, but sometimes life takes over and my thoughts end up here! So like Forrest Gump says: Life is like a box of chocolates – you never know what you’re gonna get! In case you’re interested, here’s a little more about my company: Brixel Creative offers graphic design consulting services for small to medium sized businesses within southern Maine and New England is the company focus. However, also offering creative services and social media management allow for a full service relationship between Brixel Creative and the client. Brie’s career began with a successful family-owned trade show display business almost 15 years ago and lead to her interest in graphic design. Having experience in sales, graphic design and customer relations allowed her to learn the importance of multi-tasking when necessary also broadening her skills and knowledge base for how a business is run on a daily basis. Having this hands on experience allows Brie to successfully assist businesses with their brand identity and social media, along with continuing her motivation to further herself as an entrepreneur. Interpreting the client’s needs and wants is first and foremost, while providing quality graphic design work that is cost effective and ALWAYS on-time. Working from your ideas and visions, all the way from initial design concept to final proof. Graphic designing for all your business needs! Brixel Creative is located in Lewiston, Maine and is committed to Designing Your Image! Feel free to email brie@brixelcreative.com to discuss how to improve your graphic design and business identity. SKILLS/QUALIFICATIONS: Graphic Design & Layout, Creative Services, Customer Focus, Creativity, Flexibility, Attention to Detail, Deadline-Oriented, Website Graphics, Website Editing, Social Media, Newsletters, Blogging & Creative Writing.